Ngoye Forest is a very special place. 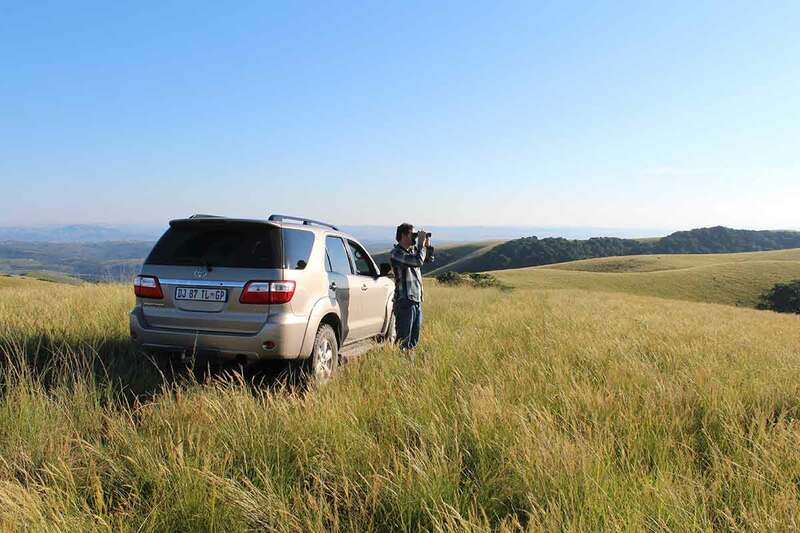 A visit to this 3,906 ha patch of relict scarp Afromontane forest about 11 km inland of Mtunzini on KwaZulu-Natal’s coast, is a right of passage for all southern African birders. This is literally the only place in the region where the Green Barbet, Cryptolybia (Stactolaema) olivacea occurs. However, even if you have seen the barbet before, the forest still has a few other surprises in store. This is also the only haunt of the Ngoye Red Squirrel Paraxerus palliatus ornatus, which may be seen scuttling up the giant lichen-clad tree trunks. Eagle-eyed observers may be lucky enough to spot the highly localised Umlalazi Dwarf Chameleon Bradypodion caeruleogula, which is known from only three forest patches in the world: Ngoye, Dlinza and Entumeni. This tiny reptile tends to remain high up so is seldom seen; it has red-streaked flanks which resemble long, bloody gashes on its body. 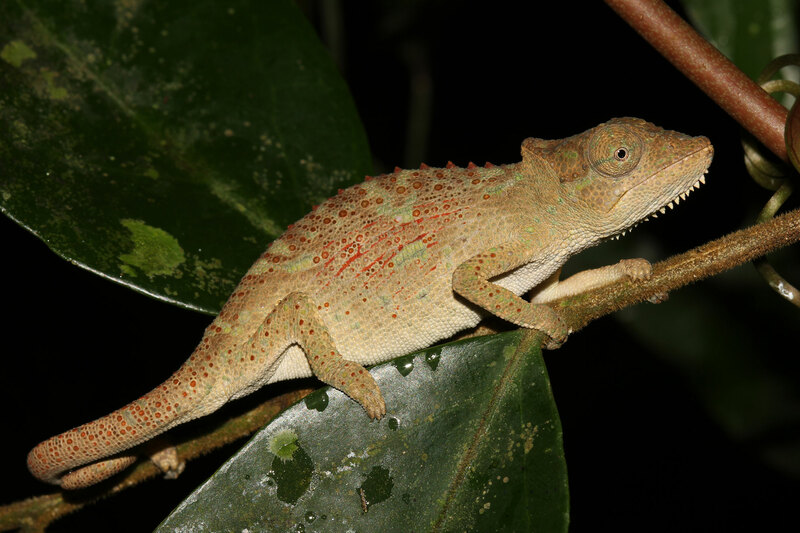 ABOVE: The elusive little Umlalazi Dwarf Chameleon Bradypodion caeruleogula, is reportedly abundant in Ngoye Forest (although I couldn’t find even a single one). But, it is always good to have a motivation for a return visit in future. To me they look as if they have a series of bloody scratches on their flanks; the red colour is the skin between the rows of hard tubercles running down the body. Photo by Nick Evans. Furthermore, there are a great number of rare and localised plants in the forest, with two cycad species being particularly notable: the Ngoye Dward Cycard Encephalartos ngoyanus is known from very few localities in the area, while Wood’s Cycad E. woodii was only known from here, but is now considered extinct in the wild. The species is named after John Medley Wood (1827-1915) who found the only male cycads of this species in 1895. Despite much subsequent searching, no others have been found, and there is no known female specimen. Some fascinating background information on this plant can be read here. But first a little more on the barbet. The taxonomy of the Green Barbet remains something of a contentious issue. The species occurs in a number of fragmented and widely isolated forest patches in Africa. Most of these are recognised as different subspecies, with five generally accepted: olivacea from south-eastern Kenya and north-eastern Tanzania; howelli from the Udzungwe and Mahenge mountains in central Tanzania; rungweensis from the highlands of south-western Tanzania and northern Malawi; belcheri from Mount Namuli in Mozambique and Mount Thyolo in Malawi; and finally woodwardi from the Rondo Plateau in Tanzania, and of course, Ngoye Forest. Much of the debate stems from conservation concerns: if some or all of these races are recognised as different individual species, their conservation status is immediately elevated. And many authorities are indeed of the opinion that they constitute different species. 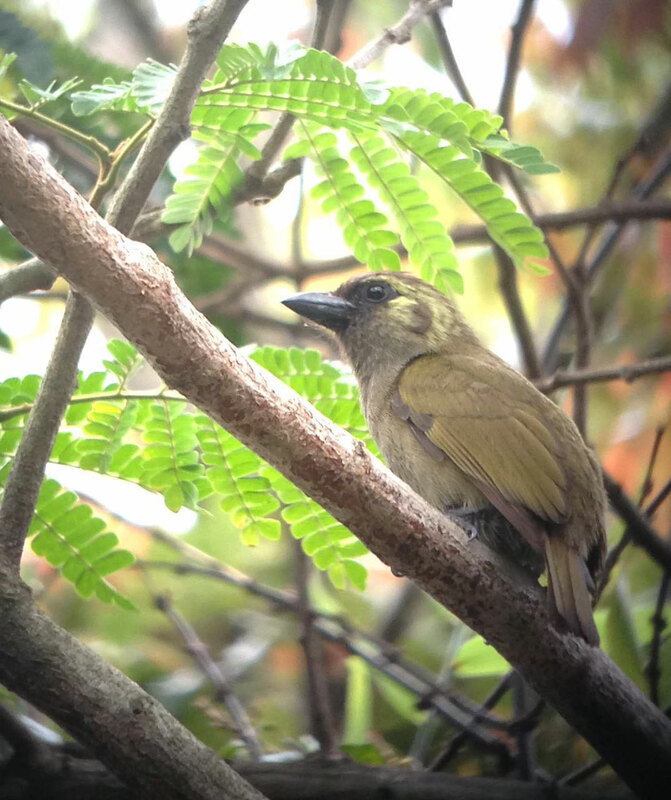 the nominate olivacea would retain the name ‘Green Barbet’ with belcheri birds being called ‘Thyolo Barbet’ and our birds ‘Woodward’s Barbet’. A phylogenetic study of barbets may reveal some interesting historical speciation events related to the interplay of Africa’s grasslands and forests. At the genus-level, the species is sometimes included in Stactolaema with e.g. White-eared Barbet and Whyte’s Barbet but differs in morphology, plumage and calls, but is best placed in its own genus Cryptolybia. ABOVE: I hope the IUCN will forgive me for copying this map off their website (please support them – they are one of the world’s foremost conservation bodies – by visiting www.iucnredlist.org). The blobs on the map are a bit bigger than they should be; for example, the KZN population should just be a tiny, almost invisible speck. But the map does give one an indication of how fragmented the range of this barbet is. The question is why? 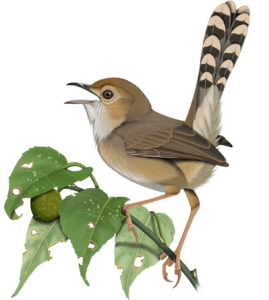 Is it hyper-specialised to some localised plant species for food or nesting? Has parasitism by forest honeyguides reduced its populations to a few lingering outposts? Or is it unable to colonise new areas by moving across intervening grassland and woodland habitats? Food for thought. 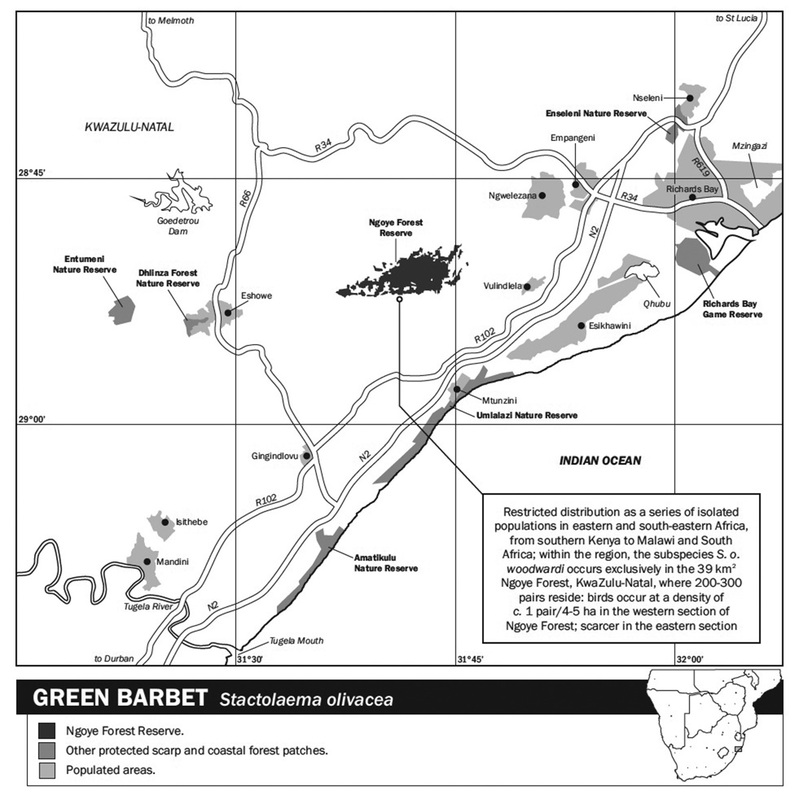 ABOVE: This is the map that I drew for the Green Barbet in the recently published Eskom Red Data Book of Birds of South Africa, Lesotho and Swaziland. I am one of the three editors of this work so I am obviously a little biased, but I do think that anyone interested in conservation and biogeography of our region’s threatened species will derive a lot of value from this book. 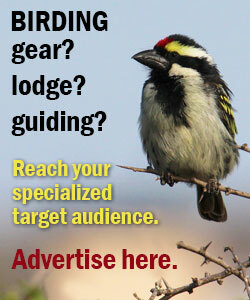 I don’t have any copies to sell, but you can contact BirdLife South Africa (link here) to order a copy. 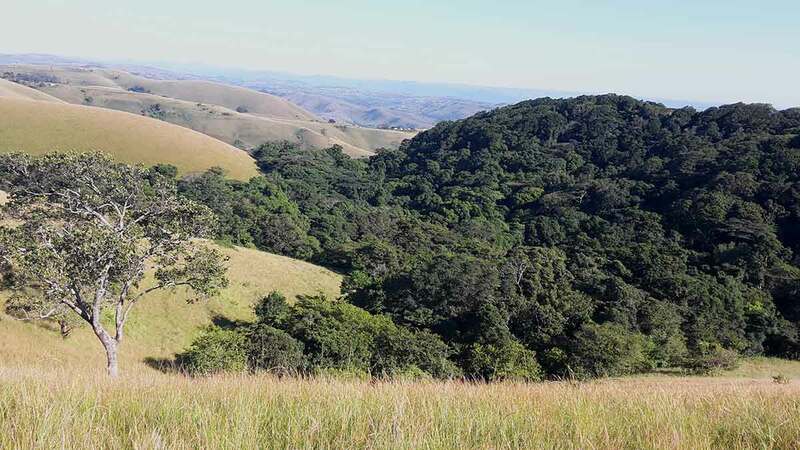 The map gives you a nice picture of where exactly Ngoye Forest lies: about 150 km north of Durban, and between Richards Bay in the north and Stanger in the south; just inland from Mtunzini and not far from Eshowe and Dlinza Forest. The scale is apparent if you notice how small the grey block is in the inset map. As the annotation mentions, the forest is home to only 200-300 pairs, occurring at a density of 4-5 hectares per pair. ABOVE: All my sightings of Green Barbets at Ngoye have been rather distant – they tend to sit high up on dead branches in the early morning. Luckily ‘Vas’ had this rather impressive digiscope that he offered to share with you. Thanks Dylan, we appreciate it. To be honest, the Green Barbet is not much of a looker. It is rather drab olive-green overall, and blends into the leafy background very well. It has some blackish around the forecrown, and contrasting yellowish patches on its ear-coverts. Apart from scanning exposed twigs above the canopy, your best bet is to listen for the simple ‘chop’ call to locate this species. Photo by Dylan Vasapolli. 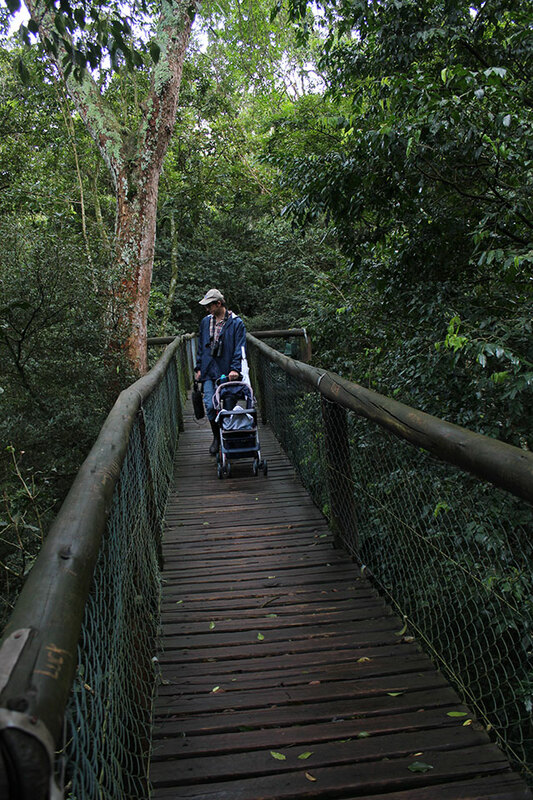 On a recent family holiday to KwaZulu-Natal we stayed in the fantastic little coastal town of Mtunzini (see separate blog entry to come), so a morning visit to Ngoye was a must. Normally a visit to the forest requires a lengthy drive on a rather potholed track, preferably in a 4×4 or high clearance vehicle. Indeed, in the old days (mid 1990s in other words) a visit to Ngoye was quite the expedition. Entering the forest involved thrashing through a nearly impenetrable liana-covered wall, and finding the barbet sometimes took hours. But on this trip, my friend Jonathan Sykes informed me that there is now a tarred road that leads through a few hundred metres of the forest, believe it or not! There is a parks board office along the road (from which some hiking trails apparently strike out; we didn’t have time); this makes a convenient place to park and start looking for forest birds. 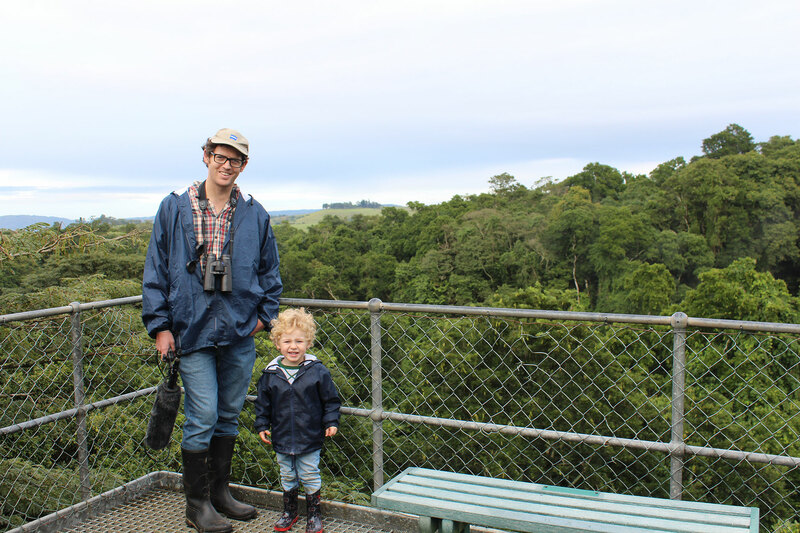 And that’s exactly what we did – not only did we find the barbet (a lifer for my wife, Ronel) but our kids also had a lot of fun roaming around the forest edge, and freaking out everytime a Samango Monkey ran across the road. 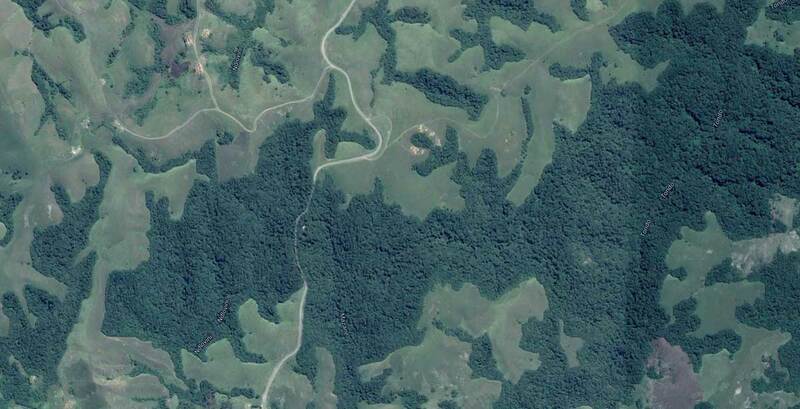 ABOVE: A Google Maps image of the westernmost part of Ngoye Forest. You can clearly see the tarred road going through the forest. To reach it, travel along the R102 and turn off onto a small tarred road leading west at -28.946068, 31.682153. Just follow this windy tar road until you enter the forest at -28.856837, 31.650180. Easy as pie. Of course the barbet is not the only forest special to be seen. Walking along the tarred road or along one of the forest trails may produce views of Green Malkoha (Yellowbill), Olive Woodpecker, Olive Bush-Shrike, Narina Trogon, Grey Cuckooshrike, Brown Scrub Robin, Square-tailed Drongo, Blue-mantled Crested-Flycatcher, Chorister Robin-Chat and Green Twinspot, among many other forest birds. Listen for the ‘pretty georgie’ call of Emerald Cuckoos in spring. While walking, be alert for a quick wing-flutter from the leaf-strewn forest floor, which may reveal the elusive Lemon Dove. The forest is also home to Spotted Ground Thrush, but these are not always easy to find and are prone to seasonal altitudinal movements. I should also mention Black-bellied Starling, Scaly-throated Honeyguide and Grey Sunbird. Grassy verges and overgrown areas can produce Forest Canary, Swee Waxbill, Red-backed Mannikin and Southern Tchagra. 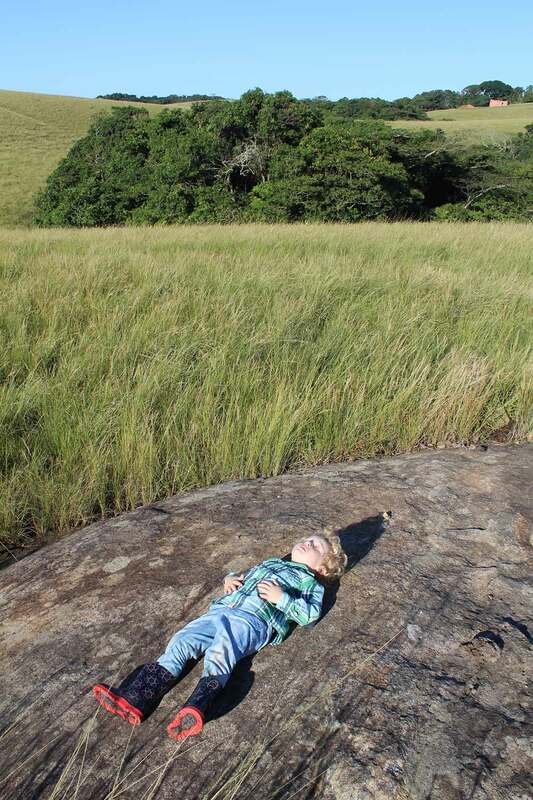 After you’re done birding in the forest, why not explore the rolling grassy hills and bedrock outcrops surrounding the forest? If you can find a track you will be rewarded with spectacular views and a very remote, wildernerness atmosphere. The grasslands can be good for Black-rumped Buttonquail (Jonathan said one walked in the track in front of his vehicle for several minutes!! ), and I suspect I glimpsed a Short-tailed Pipit on our visit. There are also Secretarybirds and even the occasional Southern Ground Hornbill. Find a vantage point from where to scan the forest canopy for raptors and flying Bronze-naped Pigeons. 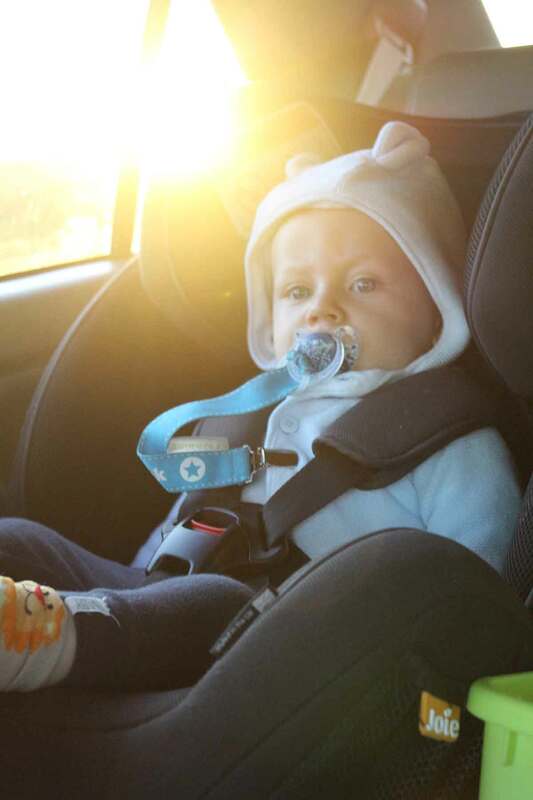 ABOVE: Nine month-old Owen is always up for a pre-dawn adventure. 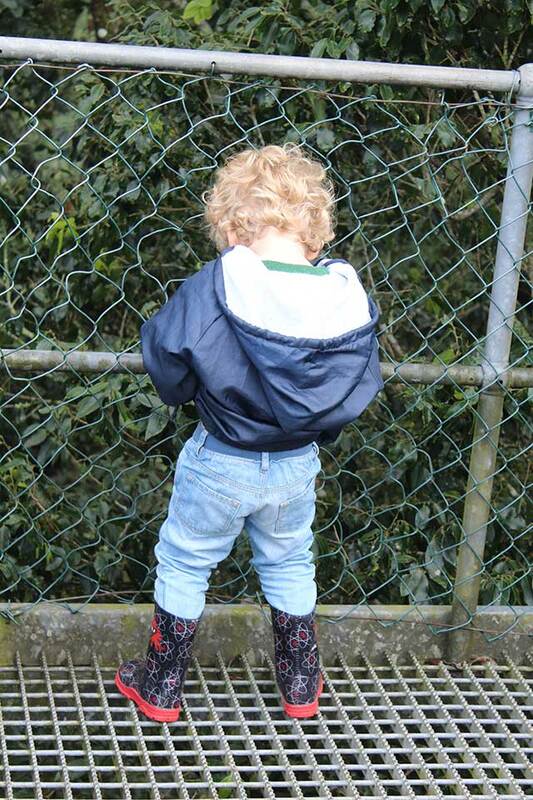 In this case, going birding with his parents at Ngoye Forest. 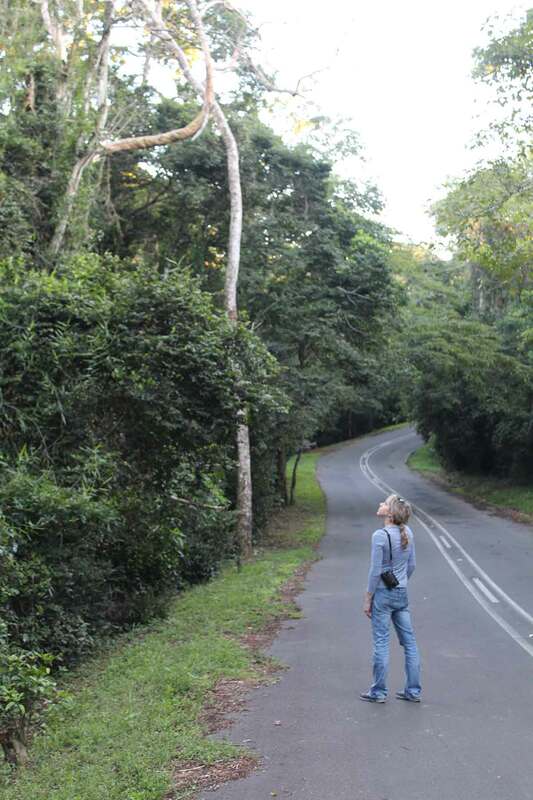 ABOVE: Ronel listening for the characteristic ‘chop’ calls of Green Barbets. She did eventually get good views of her lifer (mainly because I was willing to sacrifice birding in order to watch the kids!) when she spotted a pair sunning themselves on the leafless branches above the canopy. ABOVE: Kids love going birding, but they are not super skilled at stealth, patience and being quiet. 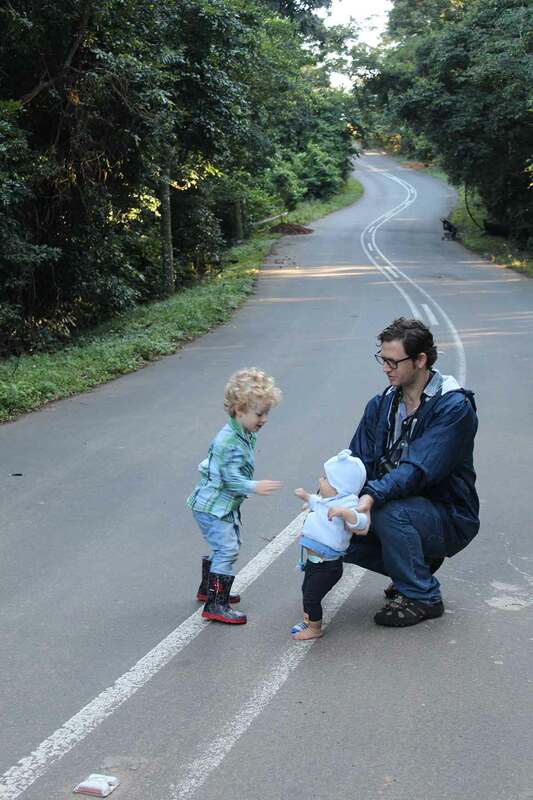 Note that Owen appears to have lost a sock somewhere in Ngoye Forest. Also note the abandoned pram way in the background. ABOVE: Christian searching the undergrowth for stray Umlalazi Dwarfs, or any kind of bug, fungus or weird-looking stick really. ABOVE: Birding in the grasslands above Ngoye Forest. Looks like an ad for Toyota Fortuners. ABOVE: This is what I was looking at in the picture above. ABOVE: A morning’s birding, exploring, running around, climbing, fighting with your brother, digging holes, singing at full voice, throwing rocks, hitting stuff with sticks, lifting rocks, complaining about thorns, gathering pepper ticks, catching worms, chasing monkeys, attempting to taste random forest fruits and insisting on sitting on your dad’s lap while he is trying to drive on small offroad tracks, can tire one out. 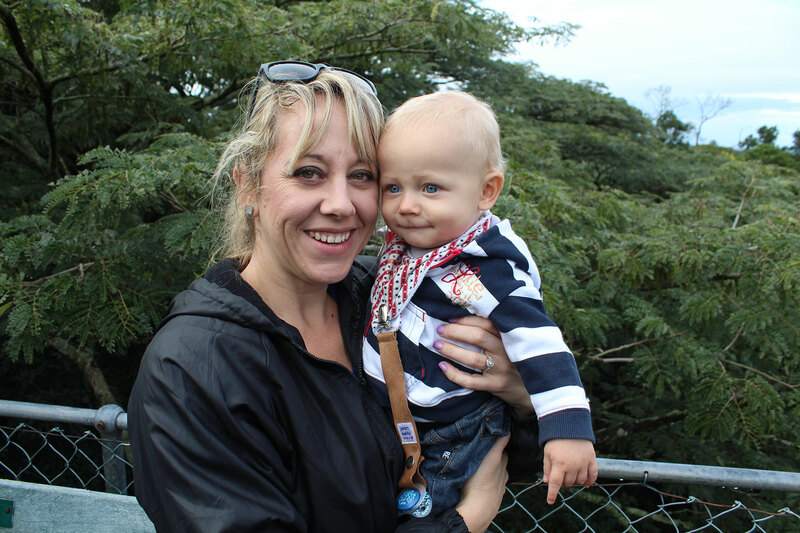 ABOVE: I have concluded that trying to record bird sounds within a 1 km radius of a toddler is a fool’s game. ABOVE: The first part of the walkway is wheelchair and pram friendly. ABOVE: Boys will be boys. Who can resist peeing off a 50m tower?